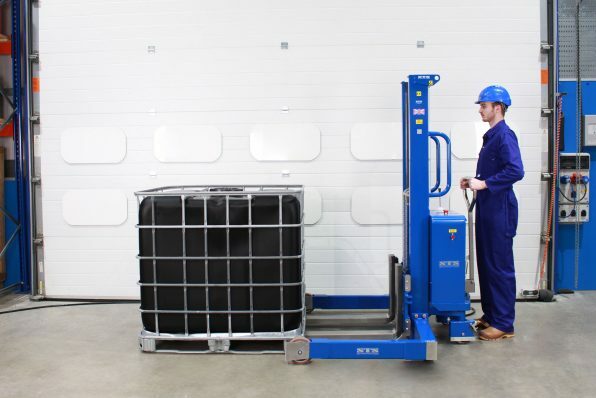 Our pneumatic-hydraulic forked stacker truck fills a gap in the market. Traditionally ATEX stacker trucks are either manual-hydraulic or electric-hydraulic powered, these can be impracticable and expensive. 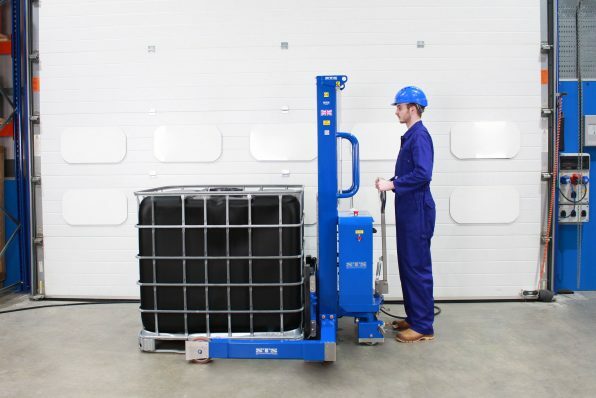 Our air-powered zoned stacker trucks use an airline connection to power the hydraulics, the forked stacker unit is fully certified for both gas (G) and dust (D) hazardous areas, zones 1, 2, 21 and 22. Our qualified engineers install pneumatic circuits and mandatory safety features such as emergency stops and blocking valves. Operators simply plug-in an airline to enable the functions, they then press the operate button and actuate the main lever to lift and lower loads. Should the airline be disconnected for any reason, the forks will remain in place and the load will remain safe. It is vital that only certified equipment is used when explosive or potentially explosive atmospheres exist. 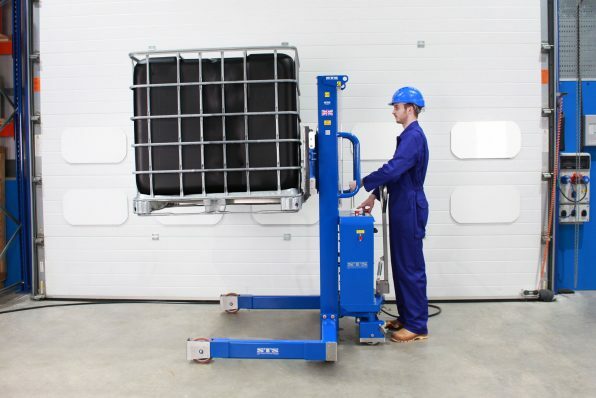 Our pneumatic-hydraulic pedestrian stacker is ATEX certified for use in Zone 1, 2, 21 and 22 environments. 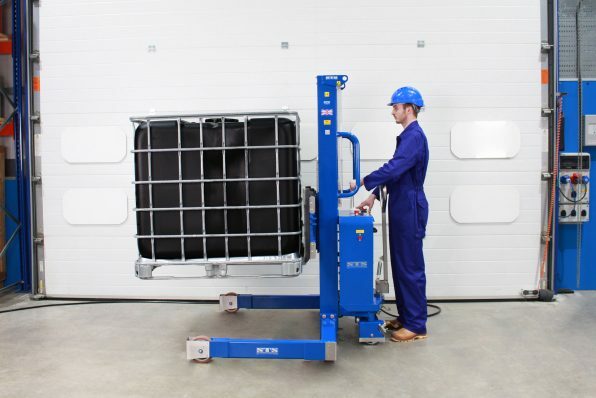 Each of our ATEX stacker trucks are designed to ensure electrical continuity, a path to ground is always present. With each ATEX model we supply a manufacturer’s EU Declaration of Conformity which states compliance with the ATEX Directive 2014/34/EU. 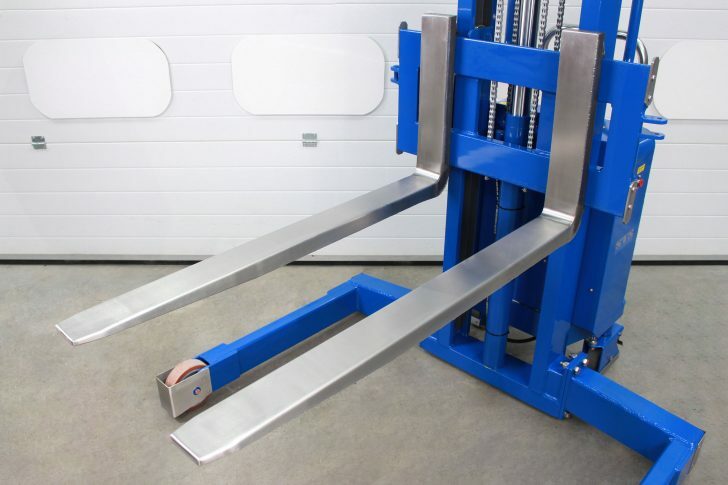 To reduce the risk of spark generation we fit our ATEX stacker trucks with stainless steel clad forks; should the forks contact the ground the chance of a spark is drastically reduced. Manufactured in the UK, the stainless cladding is of an extremely high standard and is very strong and robust the stainless cladding is of an extremely high standard and is very strong and robust. 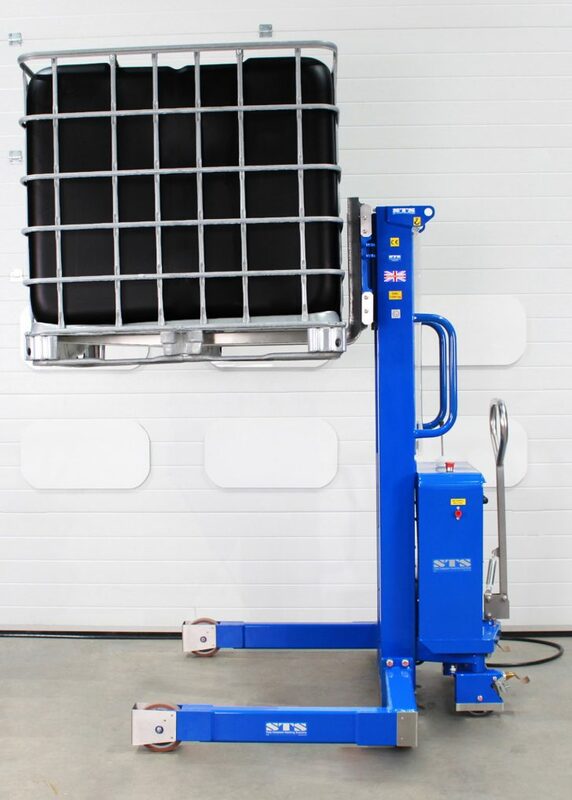 To keep you safe and the unit stable, we use hot-rolled steel channels in the manufacture of the stacker truck. These channels provide a sturdy basis for your pallet lifting operations. 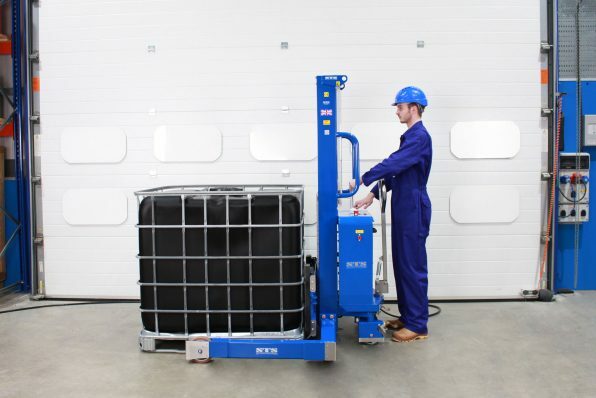 Ackermann rear-wheel steering gives you maximum directional control when lifting pallets and IBCs. The wheels are 160mm in diameter and contain two rubber-sealed (RS) precision bearings. 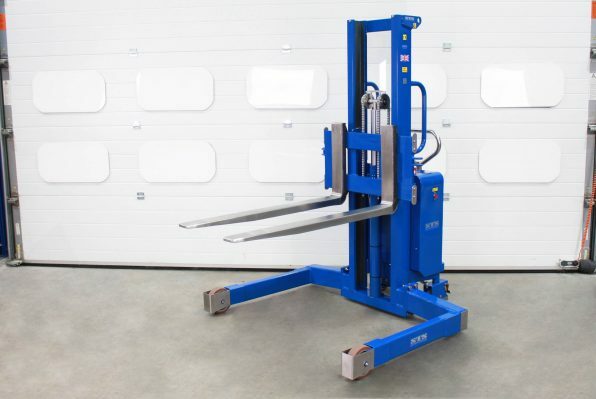 Park brakes are fitted on all models to keep the pallet stacker truck stationary during use or storage. Custom leg configurations can be provided should you need to straddle a large vessel or container. For non-ATEX applications we adapt an STP07 (pneumatic unit) into an STE07 (electric unit). On-board batteries then power the hydraulic lift function. When moving goods over long distances we suggest adding power drive. Our power-drive tiller steering offers effortless control, with battery and pneumatic options. When machinery integration is critical we will modify leg dimensions to suit your facility. 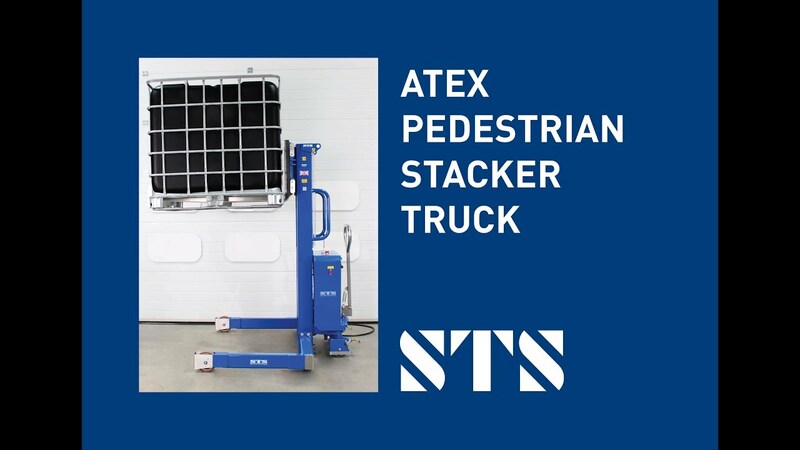 View the instruction manual for our ATEX Pedestrian Stacker Truck, which details how to safely operate and maintain the unit. 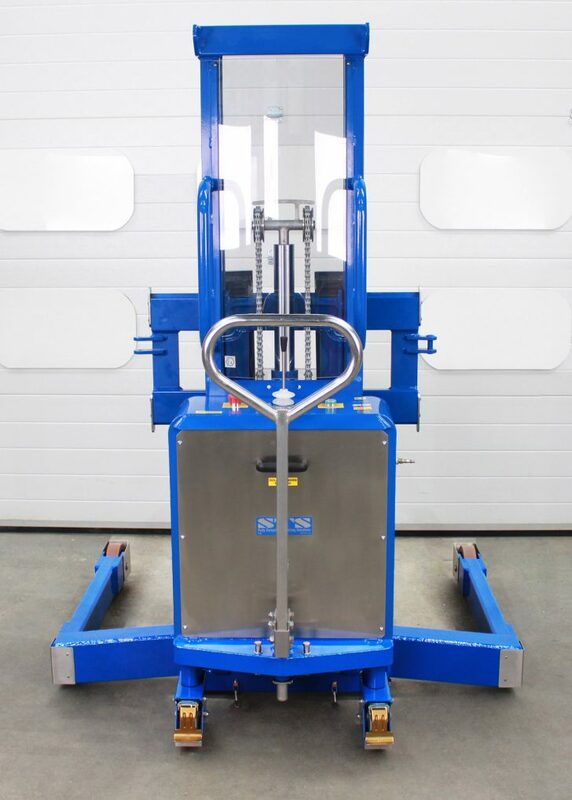 Whatever your industry or application, we can design and manufacture pedestrian stacker trucks customised to suit your requirements.